Wake up with perfect brows!! Microblading your eyebrows is a very important decision and can be life changing. Please research when deciding who to choose for eyebrow microblading. An important factor is the type of product used. When artist use cheap pigments, they may contain illegal levels of metals and unstable pigment can change color and fade quickly. We care about our clients health and safety and only use the highest quality pigments. Exclusively made for microblading and allow easy application with excellent retention. Tartrazine free, as it is highly allergic artificial coloring additive. Therefore, risk of experiencing allergic reaction is low. It is not possible to develop reddish shadow. It does not migrate under skin. Microblading is a form of permanent makeup that creates natural, beautiful eyebrows with a handheld tool. 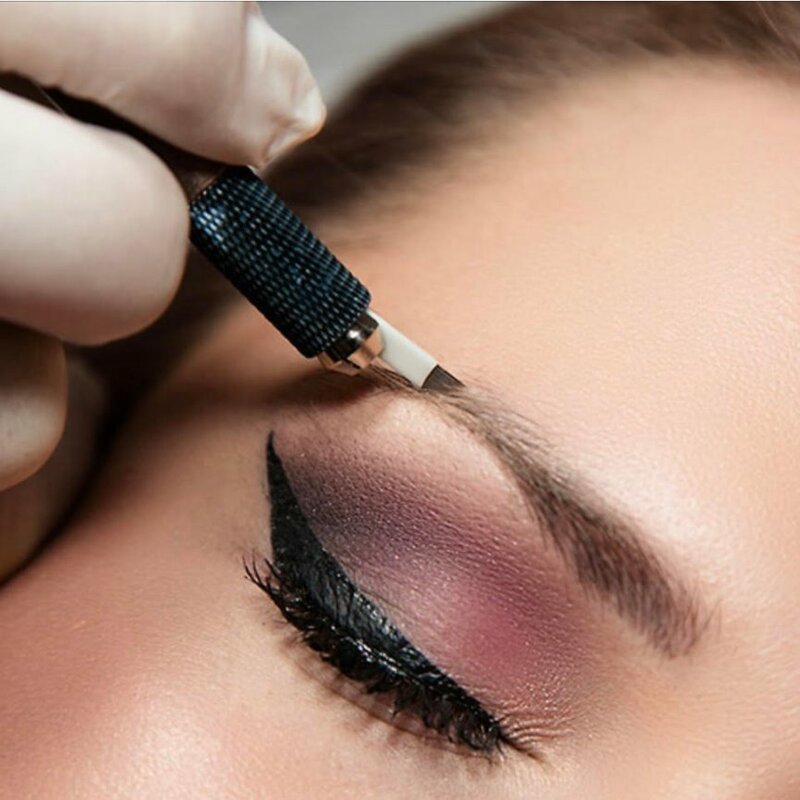 It is semi permanent tattooing technique that creates hair strokes to fill in thinning or sparse brows. Each hair strokes is hand drawn and blended in with the clients existing eyebrow hair. The result is gorgeous and lifelike. Microblading features very fine hair strokes which has a soft natural look shadowing under eyebrow hair. Shading is usually done with a tattoo machine which gives a more makeup full filled in look. Numbing cream is apply before the procedure is done to help. On a scale of 1 to 10, often clients will say its a 3 but only for the first 10 to 15 minute, after that you will maybe fall asleep. Everyone is different. It is well worth it. Those who are prone or keloids or post inflammatory hypopigmentation. If you have a transmitted blood disease such as HIV or hepatitis. Pre-existing eyebrow tattoo that's too dark. It must be light enough to draw hair strokes. Those with allergies to alcohol or numbing agents. What to expect during and after microblading session. The entire healing process will 4 to 6 weeks depending on how your skin type and age. Your eyebrow will go through several phases and during the healing cycle. The pigment will appear natural immediately and darker the next day. Because the skin regenerate during recovery period (peeling), brows may appear lighter than original. This might give you the impression that the color is fading too quickly. Often even with proper care, you may lose some hair strokes and can leave you looking uneven. It's absolutely normal, that's why a second session (touch up) is require. Once the healing of the skin starts taking place, it will like dandruff flakes or dry skin, it's superficial. Do not rub the treated area while its healing and once it heals, remember to apply spf. The final look will be apparent after 30 days. Now you can enjoy your new eyebrow. If you have any questions please give us a call! We're happy to help.